Front Desk is a semi autobiographical account of young Mia Tang who recently immigrated with her parents from China to the United States. When her parents get the opportunity to manage the Calivista Motel, they jump at the chance to earn $150 a day plus free rent. After signing the contract, what they don’t know is the owner Mr. Yao can change the terms at any time. This not only means less money a day but also the financial responsibility of paying for refunds and broken appliances. Still, Mia and her family continue to manage the Calivista with her parents taking care of the housekeeping and Mia managing the front desk. Mia becomes friends with the Calivista weeklies who become her extended family. Managing the front desk and being the new student at Dale Elementary School is a lot to handle but Mia is determined to succeed even when things get tough. While Mia wants to focus on becoming a better writer, her mother encourages Mia to spend more time doing math. Her mother says “You just can’t be as good as the white kids in their language honey. It’s their language,” Mia though is insistent in proving her mother wrong practicing and perfecting her writing with the help of Calivista weekly Mrs. T’s dictionary-thesaurus. Writing also becomes therapeutic when Mia wants to express her feelings after being teased at school or write an apology to a friend. When weekly Hank who is African American gets wrongly accused of a crime and subsequently loses his job, Mia decides to write a reference letter which helps him secure a new job. Her writing also helps a friend of the family get his passport back from his dishonest employer. Front Desk is a story of hope and heart. Mia is an exceptional character who shows not only a genuine kindness but also immense courage to help others. She has good role models in her parents who help fellow immigrants by hiding them in empty motel rooms. Despite the obstacles they face, Mia and her parents continue to pick themselves up and keep going. Sometimes a mistake is actually an opportunity. Sometimes the people you least expect can blow you away with their courage and kindness. Dreams can come true with kindness, courage, and determination. Success is sweeter when shared with friends. A very special thanks to Arthur A. Levine Books and Lizette Serrano of Scholastic for sending an ARC of Front Desk to my #bookexcursion group. Pre-order Front Desk now, for it releases on May 29, 2018. Your life will be forever changed after reading. I know mine has. Monday! What Are You Reading? 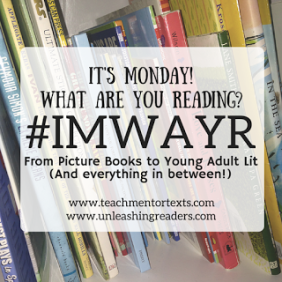 #IMWAYR is a community of bloggers who link up to share what they are reading. Kellee Moye of Unleashing Readers and Jen Vincent of Teach Mentor Texts decided to give it a #kidlit focus and encourage everyone who participates to visit at least 3 of the other #kidlit book bloggers that link up and leave comments for them. Front Desk is a semi autobiographical account of young Mia Tang who recently immigrated with her parents from China to the United States. Mia and her family manage the Calivista with her parents taking care of the housekeeping and Mia managing the front desk. Mia becomes friends with the Calivista weeklies who become her extended family. Front Desk is a story of hope and heart. Mia is an exceptional character who shows not only a genuine kindness but also immense courage to help others. For my full review, click here. 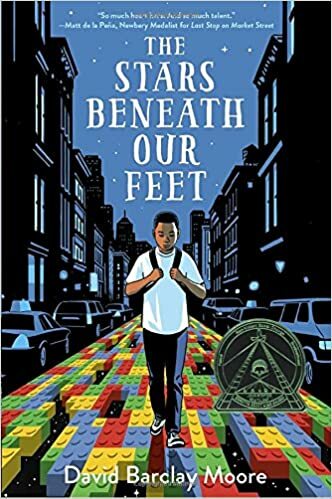 A very special thanks to Arthur A. Levine Books and Lizette Serrano of Scholastic for sending an ARC to my #bookexcursion group. Pre-order Front Desk now, for it releases on May 1, 2018. “Once upon a time, there were two kinds: this (a blue rabbit) and that (a yellow bird).” An egg hatches and out comes a green creature that has characteristics of both a rabbit and a bird. “You can’t be both. You must be a neither!” said this and that which forces “Neither” to fly off to Somewhere Else. As “Neither” soars in the sky, the reader can see a bird’s eye view of the Land of This and That, which is predominantly blue and yellow while the land adjacent to it includes many more colors. “Neither” soon finds out that she has not found Somewhere Else but rather the Land of All where animals of different kinds are welcome. Anderson’s colorful and vivid illustrations are captivating to the eye. In the Land of All, creatures are a blend of different animals such as a cat butterfly and a dog fish celebrating both uniqueness and inclusiveness. Reminiscent of Strictly No Elephants by Lisa Manchev, Neither is an engaging and thoughtful story about tolerance, diversity, and acceptance. I cannot wait to share this with students for #classroombookaday. Arfy is a dog in search of a forever home. Living in a cardboard box in an alley, he decides to write letters to residents on Butternut Street asking “Can I be your dog?” In each letter, Arfy states why he would be a good fit for them. Unfortunately, Arfy receives letters back turning him down for different reasons. A sad Arfy returns to his “home” in the alley and wakes up to find a letter addressed to him. Unbeknownst to Arfy (although readers can infer from the illustrations), the mail carrier has been reading some of his letters. She writes her own letter to Arfy asking him “Can I be your person?” stating why they would be a good match. From the bold and lively illustrations, the plot being told through letters, and determination of Arfy to find a home, Can I Be Your Dog is not only the perfect read aloud but also a great resource for teaching persuasive writing or composing letters. What especially warms my heart are the tips for how to help a homeless animal in the end papers. Is it really already April? In January, I compiled my Must Reads in 2018 joining host Carrie Gelson of of There’s a Book for That and a community of other bloggers. It’s time for a spring update to check in on my progress. To read other bloggers’ progress, search using the hashtag #mustreadin2018. 2018 is my first year participating in #mustreadin2018. I choose 20 middle grade books. Some are books in my TBR stack that weren’t read in 2017, some are #bookexcursion ARCs generously provided by authors, and others are titles recommended by authors and book bloggers I follow on Goodreads and Twitter. I am slightly behind in my reading. I have read 3 books and am in the process of reading 2 books. I am not worried though because in about 50 days, I will have a summer truly free to devote more time to read many of the books on my list. Plenty of time to catch up! A book that was out of my comfort zone. Sports has never been my thing but I devoured Takedown. 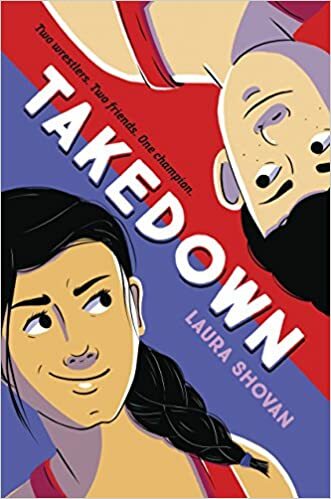 I absolutely loved the format of the novel hearing from both Mikayla’s and Lev’s perspective, which revealed their determination, competitiveness, and insecurities. For my full review, click here. Takedown releases in June 2018. Mathematical genius Lucy discovers that all things aren’t easy to calculate, and sometimes numbers aren’t all that matters. For my full review, click here. 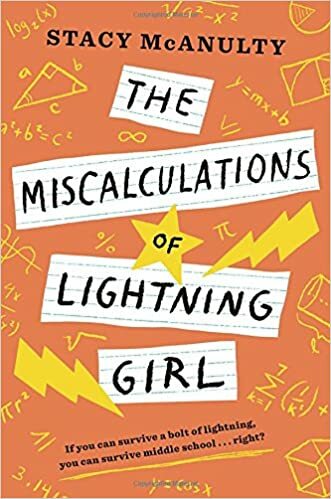 Lightning Girl releases in May 2018. This graphic novel was a window into the world of Priyanka, an Indian American teenager being raised by a single mother. Like Pri, I questioned why her mother left India and why she refused to discuss it. 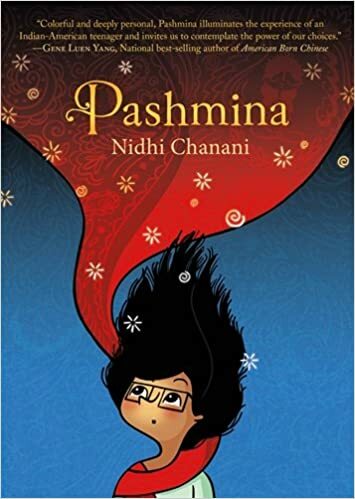 The mysterious and magical pashmina allowed me to join Pri on her journey to uncover the truth. I am currently listening to the audio version. I have about an hour and a half left. Another window book for me. Lolly is a good kid trying to make the right choices which isn’t easy living in the projects in Harlem. Rooting for Lolly to fully realize his talents and potential to do great things in life. I just started reading Grump and am already intrigued by his fascination with humans and wanting to go above the surface. Stay tuned! While I have not read the books in their entirety, I have read portions of Preventing Misguided Reading and From Striving to Thriving as they support my teaching of students as well as assist me in my work supporting teachers in professional learning. I have not yet received my copy of Understanding Text as Readers. Thanks for joining me in my book journey! Devin is an ordinary 12-year-old boy. He desperately wants an iPhone and his little sister Abby gets on his nerves with her constant temper tantrums. When movers carry in a huge pot and giant glass ball to a house across the street from Devin’s family, his cousin Tommy is convinced that the new neighbor is a warlock. Normally, Devin does not believe in Tommy’s conspiracy theories, but his feelings begin to waver when Herb comes over for dinner and then the next day when he drops off a Cuddle Bunny, the hottest toy of the Christmas season for Abby. When the Cuddle Bunny comes to life, Devin realizes Herb is responsible; therefore, Tommy’s theory is actually true. Since his parents do not believe him, Devin and Tommy are left to expose Herb and in the meantime, save their town from being overrun by the evil Cuddle Bunnies. Reading Night of the Living Cuddle Bunnies took me back to my childhood. In 1983, I vividly remember going to Toys R Us and writing my name on a wait list for a Cabbage Patch Doll, the most in-demand toy of the year. In addition, there is a scene in the book where all the Cuddle Bunnies are reeking havoc at the mall; I laughed hysterically recalling the movie Gremlins, one of my brother’s and my favorite movies. Night of the Living Cuddle Bunnies is a fast paced, hilarious story that middle grade readers will devour; adult readers my age will equally enjoy it since it allows us to take that trip down memory lane. 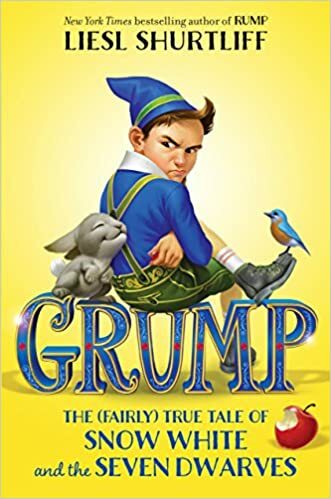 I also loved the book because Devin truly changes and grows in his quest to locate and eliminate the head bunny, Mr. Flopsy-Ears. And stay tuned because the ending gives me hope for another adventure with Devin and Tommy. A very special thanks to Jonathan Rosen for fulfilling one of my Christmas wishes and sending me a copy of Night of Living Cuddle Bunnies during #MGBookmas. I loved this “hare raising” story and excited to share and discuss it with readers at my school! Zoey is an inquisitive young scientist who is always exploring, observing, and thinking with her trusty kitty Sassafras. When she needs to think of brilliant ideas. Zoey wears her Thinking Goggles on top of her head because they are closer to her brain. One day, she notices a purple frog in a photo on her mom’s desk. Her mom is amazed that Zoey can see Pip, one of the many magical animals that live in the forest. While her mom off to conference, Zoey is charged with helping any injured animals that come to their barn. Patiently Zoey waits for the barn bell to sound. It is not until late in the week that Zoey hears the ring and anxiously runs to find a sick baby dragon. Using her schema as well as the scientific method, Zoey works diligently to uncover how to help the dragon named Marshmallow get better. I especially love how Zoey documents all her notes in her science journal (which were written and drawn by Asia’s own daughter). I am always on the look out for books for my transitional readers. Look no further than Zoey and Sassafras. Currently, there are 4 books in the series with a fifth book publishing in April 2018. This series hits the mark on so many levels with a curious main character, short chapters, rich vocabulary, adorable illustrations, and of course, magical animals! Can’t wait to introduce Zoey to readers at my school especially my second grade literacy lunch bunch. Told from Kiely’s point of view, it is no wonder that she consider herself to be famous. Since the day she was born, the paparazzi (her parents) have been taking and sharing photos of her, and her mailbox is always full of mail from her fan club (her grandma). Kiely’s biggest show is performing at her Grandpa’s birthday party and when she reaches the stage, she sees the house is packed with her fans. Of course, no performance is without its glitches, but Kiely knows the show must go on. Her mantra is just keep smiling! During the grand finale, Kiely briefly forgets her optimism, but luckily, her audience is right there to pick her up and support her. I am Famous is a book to which all children can relate. In this age of social media, children are used to being photographed not only for major milestones but also for performing the most minor tasks. What I love most about I am Famous is a new definition for fame-having a family who loves you, no matter what! A very special thanks to Tara Luebbe for sending an advance reading copy of I Am Famous to Beagles and Books, which I will be sharing with my #bookexcursion group. Preorder now, for I Am Famous will be published in March 2018. 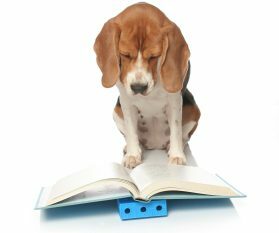 Wanting to spread the dog love, Beagles and Books has a weekly feature by highlighting a literary selection with a canine main character. On the way home, Mini and her mom find a lost dog in the road. Mini wants to keep the dog for her own, but her mom reminds her, ‘He has shoes. He belongs to someone.” Mini and her mom go to the park where the dog with shoes garners a lot of attention performing tricks. When she takes him off leash to fetch a bone, the dog runs away leaving one shoe behind, and Mini heartbroken. The next day, Mini’s mom takes her to the dog shelter in hopes of finding the dog. Miraculously, the dog wearing only three shoes is there! Knowing how awful it felt to lose him, Mini puts up fliers realizing that there is probably someone out there missing him too. After the dog is reunited with his owner, Mini and her mom know just where to go-the animal shelter. Thank you so much for visiting Beagles and Books! Have a great week! Happy Reading! I have always been a reader, but 2017 was a BIG reading year for me. In June, I renewed my love for picture books and began sharing #bookaday posts on Twitter with my sweet beagle Etta. In July, I joined #bookexcursion, a group of 10 educators who share a passion for reading, sharing, and reviewing kidlit from picture books to chapter books. 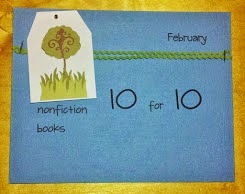 In August, I launched my blog, Beagles and Books with the help of Etta and shared my first blog post for #pb10for10. In September, I joined the kidlit blogging community to share my favorite weekly reads with #IMWAYR. To launch 2018, it is only fitting to now add #mustreadin2018. I am joining Carrie Gelson of There’s A Book for That and community of other book bloggers. Thanks Carrie for the encouragement. I chose the following 20 middle grade books that I will make a priority to read this year. Some are books in my TBR stack that weren’t read in 2017, some are #bookexcursion ARCs generously provided by authors, and others are titles recommended by book bloggers I follow on Goodreads and Twitter. As an elementary reading specialist, I also do not want to forget the importance of continuing to build my content knowledge for teaching reading; therefore, I have also included 3 professional reads to support my work with both students and teachers.